Okay, okay, sorry I said ‘bad.’ How about ‘not good at’? First off, some ground rules as for what I’m actually talking about with regard to Minako being “bad at Japanese,” since I’m pretty sure some of you are already aggressively typing on your keyboard with annotated proof1 of how Minako is actually an ace at Japanese, I’d like to first clarify what it is I’m talking about. What I mean here is Minako’s curious habit in the anime of always getting Japanese idioms wrong. Of course, this could all be easily explained away by being yet another case of the anime taking liberties to make characters funnier, but whenever possible I always think it’s better to look into in-universe explanations. And fortunately, in this case, we have one. Or make one up. I should mention that what follows is just a theory on my part with the evidence laid out below, but I’ll let you make up your own minds. 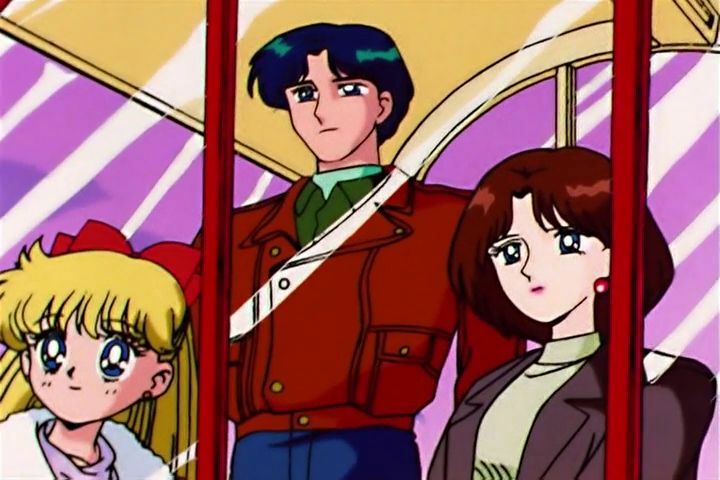 Basically, the crux of this theory ties into the story line following Minako’s adventures as Sailor V in the anime.2 In this episode, we see Minako traveling to London to handle a Dark Kingdom threat and befriends Katarina – an INTERPOL officer – and Alan – a… guy – during her stay. Before I continue, I’d like to go on a quick tangent here and mention that there is no such thing as a law-enforcing INTERPOL officer.3 The organization simply serves as a touch point and a method of coordination between law-enforcement officers of each member nation. INTERPOL agents don’t actually have any law-enforcement abilities of their own. But I digress. 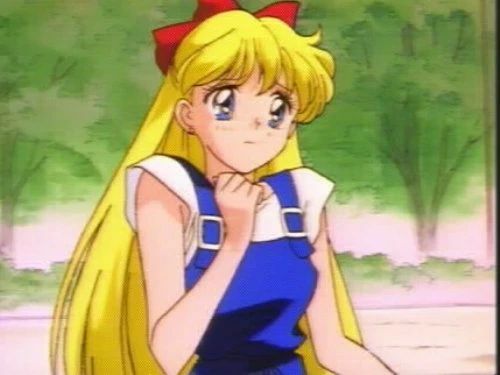 Anyway, during Minako’s incredibly short stint in London – which was a maximum of five and a half months, not accounting for rounding4 – she had apparently learned English so well that she was able to communicate easily with Alan and Katarina. In the episode, Minako remarks that Katarina taught her some English. Now I don’t know about you, but I’ve spent 13 years of my life learning Japanese, and it was pretty slow going for the first 5-6 years before I could easily carry on in conversation. Watching Minako carry on with Alan and Katarina, it seems incredibly unlikely that 13-14 year old girl could pick up English so easily in such a short time. So, my theory goes, what if this wasn’t Minako’s first experience with English? What if Minako actually grew up abroad, or at least spent a portion of her childhood outside of Japan? There are several reasons for thinking this, actually. One being that Minako actually claims to have already had a relationship with Alan prior to her meeting with Katarina, so I think we’re able to rule out Katarina having super-amazing English-teaching skills. The obvious counter for this is the implausible explanation that Alan and/or Katarina speak Japanese. I mean, the episode does start with Katarina and Minako speaking in English, right? A better interpretation of this scene, however, would be that it – and all other conversations between them – took place in English, and that we’re seeing this in Japanese for the sake of the viewer. Why do I say that? Well, for starters, we see that the little girl Minako saves from the youma in London says thank you to Sailor V… in Japanese. I don’t think I need to point out to you how unlikely it would be for a child in 1991-1992 London to be a native Japanese speaker. 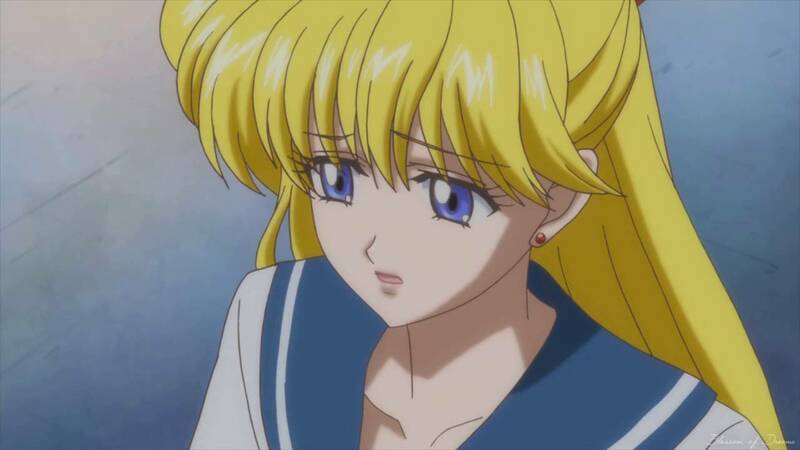 Later in the episode, when Katarina is convinced that Minako was just blown to smithereens,5 she and Alan speak to each other in Japanese as Minako watches. I’m gonna say that isn’t too likely. Now, the problem is, we don’t really have anything in the way of proof to argue that Minako was able to speak English, which is where we go into “baseless theory” territory. But what we can do is explain how it could have happened. In cases where there were school-aged children involved, 24.9% went to local schools. However, when talking about western nations (e.g., North America, Europe, and Oceania), this number jumps up to 65.2% (with North America leading the pack at 93.7%). So what does this all mean, and what does it have to do with Minako’s language ability? Well, we could argue that it’s possible that Minako may have spent her early years abroad due to her father’s job, where she picked up English in school from a young age. This would help explain how she got along just fine in London and also where some of the finer nuances of the Japanese language, such as with popular idioms, are lost on her. One mark against this is that Minako’s official profile notes that the subject she hates most in school is English, but that’s not entirely unheard of, actually. Anecdotally, I have many Japanese friends who either grew up abroad or were raised bilingual and hated English class in Japan because it had nothing to do with actual language ability and was purely based on rote memorization. Obviously, there’s really no proof for this theory, but it does have some traction among Japanese fans, who often refer to Minako as being a 帰国子女 (kikokushijo; repatriated child).10 So if I’m insanely wrong, at least I’m not wrong alone. There’s a story behind this, I’m sure. So, there you have it! 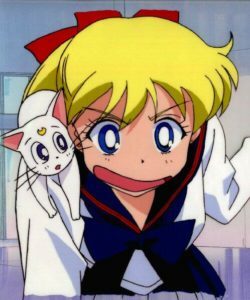 One theory about how Minako could be totally proficient in English and how her lack of finesse over the finer points of Japanese is actually intentional, and not just another comedic ploy. Just a theory, of course, but I’d be interested in hearing your thoughts on it. Criticism and fatal flaws with it are also welcome, of course! 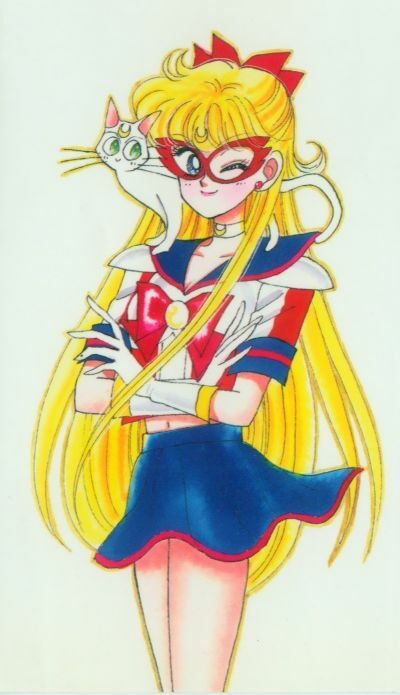 Mina also had trouble in the Sailor V manga. I do like this theory, since we don’t really know much about her early past. But I thought that she also struggled with English exams just like Usagi? 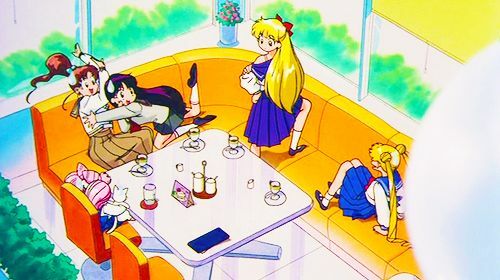 It’s also interesting in the Sailor V series how comfortable she was at airports. Maybe she had some experience flying out of the country? Another note is that Mina was extremely self-centered prior to learning her identity as Sailor Venus. She may have just been so wrapped up in herself that bothering to understand basic social context was lost on her, especially since she was not seen as a typical Japanese girl. Everyone else seemed to have better manners, understood how to act appropriately, etc. She may have just not cared enough to pay attention to what other people were saying, because she was only focused on herself or her own goals. If I recall correctly, Minako was made to do extra English problems for homework as punishment in the Sailor V manga, and it is in her official bio that she hates English. So that makes all of this an even more confusing issue. With that said, though, I do have friends who speak English really well and even speak English every day for work, but they still failed English tests in school and hate it as an academic subject. It’s only anecdotal, sure, but being able to speak the language and having a strong grasp of the grammar rules, etc. can be two totally different things. This article makes sense. Even more than my pet theory of her doing it on purpose. Doing it on purpose… now THAT would be interesting. Minako would be even craftier than we thought! I don’t know for sure, but I also think idioms is some kind of curriculum requirement in Japanese schools. it pops up in other anime as well. There was just a new episode of Card Captor Sakura Clear Card Hen where Sakura takes out a text book to look up an idiom meaning. If that is the case, she’s just bad at it like all her other subjects haha! This makes sense to me. Considering there are 4 areas of language fluency (reading, writing, speaking and listening), I could see Minako, especially with her bubblely and outgoing personality, developing strong conversational skills in English, particularly if she lived abroad, but struggling with spelling and grammar, especially because English has so many irregularities in those areas. I imagine the tests for English class in Japan would have a strong emphasis on written English, rather than spoken English, and even when they do practice conversational English, being forced to follow a script, which would bore Minako. Not to mention, even some native English speakers struggle with spelling and grammar, myself included.